Citizens of India have been watching, in stunned amazement, as over the past month the local currency has lost an unprecedented 15% of its value, with a record plunge taking place just last night . And, as so often happens, the population habituated to a government "acting in its best interests" is asking itself - how could we have possibly known this was coming. The answer, as usually happens, was staring everyone right in the face. As Grant Williams shows in his latest "Things That Make You Go Hmm", the warnings came loud and clear, and were very explicit in the form of not one, not two, not ten, but many more sequentially imposed and escalating forms of capital controls by the Indian central bank that sought to prevent the conversion of paper into hard currency. Gold. (Which also overnight hit a record high in rupee terms ). All of that culminated with the events from last night when the Rupee literally imploded. Were the signs there for all to see? Why yes. If only people had opened their eyes. The same pattern -- a sudden surge minutes before 4 p.m. in London on the last trading day of the month, followed by a quick reversal -- occurred 31 percent of the time across 14 currency pairs over two years, according to data compiled by Bloomberg. For the most frequently traded pairs, such as euro-dollar, it happened about half the time, the data show. Authorities around the world are investigating the abuse of financial benchmarks by large banks that play a central role in setting them. 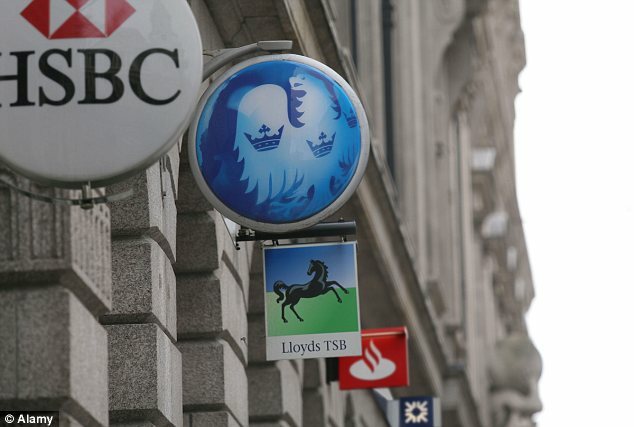 Barclays Plc (BARC), Royal Bank of Scotland Group Plc and UBS AG (UBSN) were fined a combined $2.5 billion for rigging the London interbank offered rate, or Libor, used to price $300 trillion of securities from student loans to mortgages. More than a dozen banks have been subpoenaed by the U.S. Commodity Futures Trading Commission over allegations traders worked with brokers at ICAP Plc (IAP) to manipulate ISDAfix, a benchmark used in interest-rate derivatives. ICAP Chief Executive Officer Michael Spencer said in May that an internal probe found no evidence of wrongdoing. Investors and consultants interviewed by Bloomberg News say dealers at banks, which dominate the $4.7 trillion-a-day currency market, may be executing a large number of trades over a short period to move the rate to their advantage, a practice known as banging the close. Because the 4 p.m. benchmark determines how much profit dealers make on the positions they’ve taken in the preceding hour, there’s an incentive to influence the rate, DuCharme said. Dealers say they have to trade during the window to meet client demand and minimize their own risk. WM/Reuters rates, which determine what many pension funds and money managers pay for their foreign exchange, are published hourly for 160 currencies and half-hourly for the 21 most-traded. The benchmarks are the median of all trades in a minute-long period starting 30 seconds before the beginning of each half-hour. Rates for less-widely traded currencies are based on quotes during a two-minute window. Benchmark providers such as FTSE Group and MSCI Inc. base daily valuations of indexes spanning different currencies on the 4 p.m. WM/Reuters rates, known as the London close. Index funds, which track global indexes such as the MSCI World Index, also trade at the rates to reduce tracking error, or the drag on funds’ performance relative to the securities they follow caused by currency fluctuations. The data are collected and distributed by World Markets Co., a unit of Boston-based State Street Corp. (STT), and Thomson Reuters Corp. Bloomberg LP, the parent company of Bloomberg News, competes with Thomson Reuters and ICAP in providing news and information as well as currency-trading systems. Reuters and World Markets referred requests for comment to State Street. Noreen Shah, a spokeswoman for the custody bank in London, said in an e-mail that the rates are derived from actual trades and the benchmark is calculated anonymously, with multiple review processes to monitor the quality of the data. “WM supports efforts by the industry to determine and address any alleged disruptive behavior by market participants and we welcome further discussions on these issues and what preventative measures can be adopted,” Shah said. The foreign-exchange market is one of the least regulated and most opaque in the financial system. It’s also concentrated, with four banks accounting for more than half of all trading, according to a May survey by Euromoney Institutional Investor Plc. Deutsche Bank AG (DBK) is No. 1 with a 15 percent share, followed by Citigroup Inc. (C) with almost 15 percent and London-based Barclays and Switzerland’s UBS, which both have 10 percent. All four banks declined to comment. Because they receive clients’ orders in advance of the close, and some traders discuss orders with counterparts at other firms, banks have an insight into the future direction of rates, five dealers interviewed in June said. That allows them to maximize profits on their clients’ orders and sometimes make their own additional bets, according to the dealers, who asked not to be identified because the practice is controversial. Even small distortions in foreign-exchange rates can cost investors hundreds of millions of dollars a year, eating into returns for savers and retirees, said James Cochrane, director of analytics at New York-based Investment Technology Group Inc., which advises companies and investors on executing trades. An investor seeking to change 1 billion Canadian dollars ($950 million) into U.S. currency on June 28 would have received $5.4 million less had the trade been made at the WM/Reuters rate instead of the spot rate 20 minutes before the 4 p.m. window. “Funds that consistently trade using the WM/Reuters fix are basically trading against themselves, and their portfolio is taking a hit,” Cochrane said. One of Europe’s largest money managers, who invests on behalf of pension holders and savers, has complained to the FCA, alleging the rate is being manipulated, said a person with knowledge of the matter who asked that neither he nor the firm be identified because he wasn’t authorized to speak publicly. The regulator sent requests for information to four banks, including Frankfurt-based Deutsche Bank and New York-based Citigroup, according to a person with knowledge of the matter. Chris Hamilton, a spokesman for the FCA, declined to comment, as did spokesmen for Deutsche Bank and Citigroup. Bloomberg News counted how many times spikes of at least 0.2 percent occurred in the 30 minutes before 4 p.m. for 14 currency pairs on the last working day of each month from July 2011 through June 2013. To qualify, the move had to be one of the three biggest of the day and have reversed by at least half within four hours, to exclude any longer-lasting movements. The sample was made up of currency pairs ranging from the most liquid, such as euro-dollar, to less-widely traded ones such as the euro to the Polish zloty. End-of-month spikes of at least 0.2 percent were more prevalent for some pairs, the data show. They occurred about half the time in the exchange rates for U.S. dollars and British pounds and for euros and Swedish kronor. In other pairs, including dollar-Brazilian real and euro-Swiss franc, the moves occurred about twice a year on average. Such spikes should be expected at the end of the month because of a correlation between equities and foreign exchange, said two foreign-exchange traders who asked not to be identified because they weren’t authorized to speak publicly on behalf of their firms. A large proportion of trading at that time is generated by index funds, which buy and sell stocks or bonds to match an underlying basket of securities, the traders said. Banks that have agreed to make transactions for funds at the 4 p.m. WM/Reuters close need to push through the bulk of their trades during the window where possible to minimize losses from market movements, the traders said. That leads to a surge in trading volume, which can intensify any moves. For 10 major currency pairs, the minutes surrounding the 4 p.m. London close are the busiest for trading at the end of the month, quarter and year, according to Michael Melvin and John Prins at BlackRock Inc. who examined trading data from the Reuters and Electronic Broking Services trading platforms from May 2, 2005, to March 12, 2010. 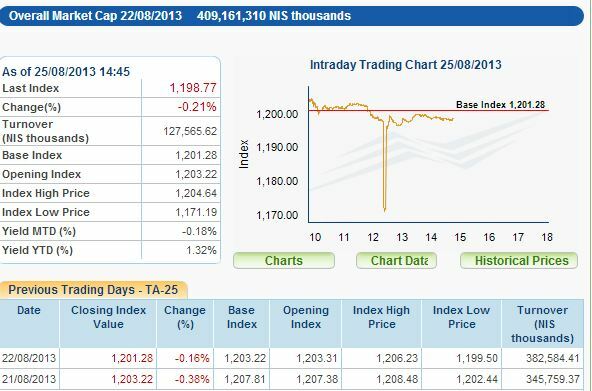 Reuters and ICAP, which owns EBS, declined to provide data on intraday trading volumes for this article. Index funds, which manage $3.6 trillion according to Morningstar Inc., typically place the bulk of their orders with banks on the last day of the month as they adjust rolling currency hedges to reflect relative movements between equity indexes in different countries and invest inflows from customers over the previous 30 days. Most requests are placed in the hour preceding the 4 p.m. London window, and banks agree to trade at the benchmark rate, regardless of later price moves. Recurring price spikes, particularly during busy times such as the end of the month, can indicate market manipulation and possibly collusion, according to Abrantes-Metz. U.S. regulators have sanctioned firms for banging the close in other markets. The CFTC fined hedge-fund firm Moore Capital Management LP $25 million in April 2010 for attempting to manipulate the settlement price of platinum and palladium futures. The regulator ordered Dutch trading firm Optiver BV to pay $14 million in April 2012 for trying to move oil prices by executing a large number of trades at the end of the day. Melvin, head of currency and fixed-income research at BlackRock’s global markets strategies group in San Francisco, and Prins, a vice president in the group, said that because banks could lose money if the market moves against them, their profit may be viewed as compensation for the risk they assume. Both declined to comment beyond their report. “Part of the problem is it’s all concentrated over a 60-second window, which gives such an opportunity to bang through massive trades,” said Mark Taylor, dean of the Warwick Business School in Coventry, England, and a former managing director at New York-based BlackRock. World Markets, the administrator of the benchmark, could extend the periods during which the rates are set to 10 minutes or use randomly selected 60-second windows each day, said Taylor, who began his career as a currency trader in London. Trading at the highly volatile 4 p.m. close instead of at a daily weighted average could erase 5 percentage points of performance annually for a fund tracking the MSCI World Index, according to a May 2010 report by Paul Aston, then an analyst at Morgan Stanley. (MS) For an asset manager trading $10 billion of currencies, that equates to $500 million that would otherwise be in the hands of investors. Aston, now at TD Securities Inc. in New York, declined to comment. Fund managers rarely complain about getting a bad deal because they’re assessed on their ability to track an index rather than minimize trading costs, according to consultants hired by companies and investors to help execute trades efficiently. Gordon’s forecast begins with America’s average GDP growth rate of 1.8% from 1987-2007. From there, Gordon’s forecast is an “exercise in subtraction” with each of the following six headwinds reducing America’s future GDP growth by a percentage point, ultimately driving America’s future GDP down to 0.2%. Yes, that’s right back to where America’s economic growth rate was before 1750 and the Industrial Revolution. typing error caused the value of one of Israel’s largest companies to instantly drop over 99% in value Sunday, dragging the Tel Aviv stock exchange down several points before the mistake was discovered and fixed. The catastrophic mistake was apparently caused during a transaction by a trader who wanted to sell shares in another company but accidentally entered Israel Corp. shares instead,Globes reported. The transaction was canceled, but in the meantime trading ground down to just 84% of the daily average. Israel Corp. is Israel’s largest holding company, primarily dealing in fertilizers and specialty chemicals. As of 2:45 p.m. the TASE-25 had made an almost complete recovery. Here are the best and west performing hedge funds so far in 2013. We hardly find it surprising that the woefully named Keynesian Leveraged Quantitative Strategies, which has gotten every part of its name wrong, is among the worst alpha (and amusingly beta) generators so far in 2013. MTD and YTD performance of select prominent hedge funds. Of note: two hedge funds are outperforming the S&P so far in 2013. The others aren't. The founder of the controversial company at the centre of the banks' latest mis-selling scandal today blasted the deal to return £1.3billion in compensation to duped customers. Around 7.5million people who were persuaded to buy useless insurance against identity theft for their credit cards will share in the payout, regulators said today. 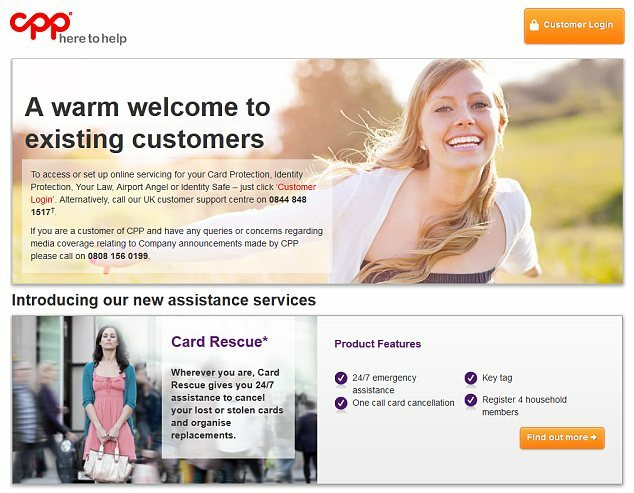 13 of the biggest banks and building societies referred customers applying for cards to CPP, which sold ‘card protection’ and ‘identity protection’ policies, either directly or through the banking giants. Today the firm's largest shareholder, Hamish Ogston, described the size of the compensation pot as 'b******s' and a 'ridiculous figure'. Mr Ogston, who owns 57 per cent of CPP but stood down from the board in June, accused the regulator FCA of 'sensationalism, by quoting a huge 100 per cent rate'. The policies cost up to £84 a year but were utterly meaningless. Customers do not need insurance for fraudulent transactions on lost or stolen credit or debit cards because they are not liable for unauthorised card payments, which are automatically refunded by their bank. For example, a bank would send a new credit card to a customer, with a sticker on the letter asking them to telephone a number to activate the card. When the customer called the number, they were put through to CPP, which activated the card but also took the opportunity to sell the useless insurance policies. 'Customers were given misleading and unclear information about the policies so that they bought cover that either was not needed, or to cover risks that had been greatly exaggerated,' the Financial Conduct Authority said in a statement this morning. The banks involved in the settlement are Bank of Scotland, Barclays, Canada Square Operations (formerly Egg), Capital One, Clydesdale, Home Retail Group Insurance Services, HSBC, MBNA, Morgan Stanley, Nationwide, Santander, the Royal Bank of Scotland and Tesco Personal Finance. Hamish Ogston founded Card Protection Plan in London in 1980 in order to provide insurance to credit card users who were concerned about the risk of fraud. He developed his entrepreneurial streak when he joined the Norwegian Merchant Navy aged 17 and sailed around the world, working on building sites and uranium mines in Canada. After attending Manchester University, where he made a name for himself by dealing in cocoa futures, he decided to start his own business rather than look for a job so he could avoid sky-high income tax rates levied by the Labour government. Although CPP took nearly a decade to turn a profit, it became enormously successful after he teamed up with more than a dozen banks to offer its services to all their cardholders - many of whom did not know what they were signing up for. In an interview in 2000, Mr Ogston described the firm as ‘my best investment’ - and 10 years later, CPP, now based in York, netted him £120million when it floated on the stock market. 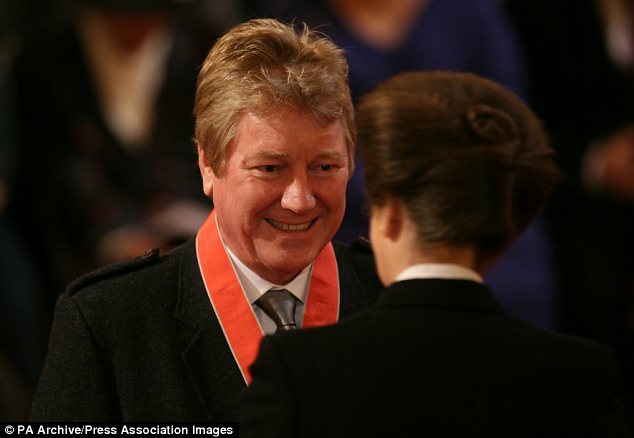 In 2011, he was awarded the CBE for services to business, receiving the honour from the Princess Royal in a ceremony at Buckingham Palace. He retained a 57 per cent stake in CPP, but the firm’s fortunes turned sour last year when the FSA imposed a fine for the widespread mis-selling of card protection. Mr Ogston, a father of three in his mid 60s, launched a bid to buy the company, but after he offered just £1.7million the offer was turned down, and he resigned from the board. Between January 2005 and March 2011, the former City regulator, the Financial Services Authority, said last November it found ‘widespread mis-selling’ by CPP. CPP was fined £10.5million last year by the FSA which lambasted its ‘overly persistent’ salesmen. They aggressively sold the insurance to customers who ‘made clear that they did not wish to buy’, and were given sales targets for ‘successfully dissuading’ customers who tried to cancel their policies. The biggest controversy surrounds the card protection policies, which cost an average of £35 a year from CPP. It boasted that customers would benefit from up to £100,000 of insurance cover, which turned out to be useless. Customers who thought they would be covered for up to £60,000 in losses suffered through identity theft discovered it covered only legal or administration expenses, not the fraudulent debts. Card protection was 'widely mis-sold' by CPP, which 'greatly exaggerated' the risks of identity theft, according to the watchdog. It is understood victims will receive a letter including details of how the money will be paid if they are eligible for compensation, which is likely to equal an average of £160 each. If customers are due compensation, they will be entitled to the amount paid for their policy since January 14 2005, plus eight per cent interest on any sum owed. The mis-selling scandal ran between 2005 and 2011, during which time CPP sold 4.4million policies and renewed almost 19million. Of the 4.4 million policies, it is believed only around 300,000 were sold directly by CPP, while lenders were responsible for around 4.1million. CPP's fine nearly sank the York-based insurance seller last year, with its shares tumbling by 98 per cent to less than just 2.5p, while its workforce has shrunk from 1,500 to 1,100. However, Mr Ogston escaped unscathed from the disaster, as he had already banked £120million from the firm's stock market flotation in 2010. Earlier this year the entrepreneur, who still owns a majority of CPP, quit the company's board and withdrew from discussions over how to secure its financial future. Who is eligible for a share of the payout fund? Anyone who purchased identify theft protection for their credit card between 2005 and 2011 is owed a refund as well as compensation. How much could I receive in compensation? The size of each customer's settlement will amount to the total they have paid for the insurance since January 14 2005, plus interest at the rate of eight per cent a year. Early estimates suggested that the typical payout would be around £160. Can I claim even if I was not a customer of CPP? Many consumers seem to have dealt with CPP, the firm at the centre of the scandal, without being aware they were doing so, as helpline numbers given out by High Street banks sometimes went straight through to the insurance firm. If you are unsure who provided your insurance, contact your bank. Do I need to contact my bank to claim? Unlike the PPI settlement, CPP and the banks have agreed to contact affected customers themselves, so if you are eligible you should hear about it over the next few months. The banks will also advertise in the media to raise awareness of the settlement. 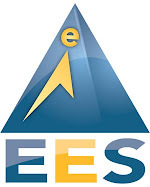 Bank of Scotland, Barclays, Canada Square Operations (formerly Egg), Capital One, Clydesdale, Home Retail Group Insurance Services, HSBC, MBNA, Morgan Stanley, Nationwide, Santander, the Royal Bank of Scotland and Tesco Personal Finance. How will the claim process work? Consumers will be invited to vote on the deal, and then when details are confirmed they will have to fill out a form registering their claim formally. When will the compensation money start coming through? After banks have contacted those affected, customers will vote on the details of the proposed deal. Once the deal is approved by a three-quarters majority, the financial institutions will start paying out, which could be as early next spring. Is there a potential downside? There may be - all customers who claim compensation will have their policies automatically cancelled, even if their claim is rejected. You should consider whether you derive any benefit from the protection before filing a formal claim. In addition to the regulatory fine, the company is said to face a bill of more than £50million for compensating ripped-off customers directly. Shares in CPP, which was recently handed a £36million funding lifeline by its banks, plunged more than 20 per cent today as investors balked at the cost of the scheme. It is the latest in a series of banking scandals, most notably the £12billion mis-selling of payment protection insurance. When a person took out a credit card or personal loan, they bought PPI to pay out if they lost their job, or had to stop working due to poor health. Unlike the PPI compensation deal which involves customers contacting lenders, CPP will get in touch with customers, starting from the end of the month. Banks, credit card firms and CPP will also advertise in newspapers to ensure people hear about the compensation. The FCA said customers will not need to use claims management companies to receive compensation. Customers will need to vote on the redress programme - called a scheme of arrangement - before it can begin paying out in the spring. It needs the backing of a majority of customers, as well as 75 per cent of voting customers. The FCA said its main concern has been to 'ensure customers get a fair deal', adding that the scheme has been set up in a 'simple and standardised' way to recompense people. The watchdog said its £1.3billion estimate is based on valid claims from all the customers who were sold or renewed their policies, but added that actual compensation will depend on the number of valid claims received. Customers who do make a claim will have their policy cancelled, even if their claim is rejected. 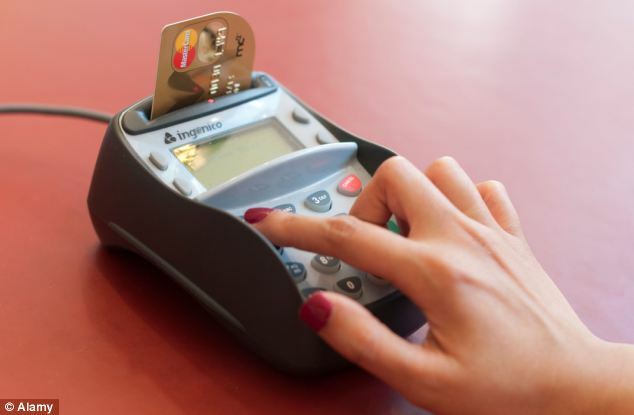 The Financial Ombudsman Service said it received 247 new complaints about card protection insurance between April and June and is currently finding in favour of consumers in three quarters of cases. A spokesman said: 'While card protection insurance can be useful for some people, in many of the cases we see the consumer neither wanted nor required the cover. Barclays' managing director for customer service Paul Maddox said: 'Some sales practices regarding past identity fraud and card protection policies were below acceptable standards, and were not in the interests of our customers'. 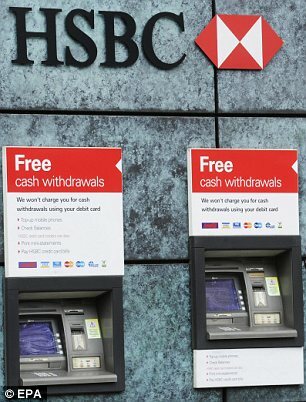 Justin Modray, founder of consumer finance website CandidMoney.com, said recently it is ‘thoroughly depressing’ to see another case of banks’ ripping off their customers. Geoff Purdy was shocked to discover that HSBC, where he had been a customer for years, had signed him up to card protection that was completely pointless. He first got his debit card in 1991, and when it came time to renew the card the bank told him to ring a helpline to activate it. After he phoned the number given, the first thing he was asked was whether he wanted to take out insurance against the risk of fraud or loss, at a cost of £74 for three years. Mr Purdy, 64, agreed - not suspecting that the protection was legally useless, and not knowing that it would be automatically renewed for the next 12 years - adding up to a total bill of nearly £300. The retired company director, from Lichfield in Staffordshire, closed his account last year, but after reading in the Mail that CPP was under investigation for mis-selling insurance he realised that he had been wrongly signed up for the payments. Today he told MailOnline of his anger at being duped by his bank, saying: 'When you ring your bank to activate your card, you don't expect them to lie to you. He contacted both CPP and HSBC - one of 13 banks embroiled in the scandal - to ask for his money back, but they said that as he had voluntarily signed up for protection he was liable for the cost. Last month, he took his case to the Financial Ombudsman - but today's judgement should provide a ray of light, allowing him to reclaim the money with interest. However Mr Purdy, a father of two and grandfather of four, is pessimistic about his chances of success, and predicts that the banks will go to any lengths to avoid paying compensation. Five Hours Later NASDARK Speaks: Twas But A "Glitch"
Like we said, no actual information. No mention of how the AAPL plunge below mysteriously set off the SIP choke leading to the wholesale trading halt; no mention of why AAPL traded after opening with a tractor beam just above $500; no mention of who may have been in for a rude awakening had the market not halted and had the AAPL fall continued, etc. Because like every other time a computer goes haywire, which lately is all the time, it was merely a "glitch" and so you must acquit, because no humans were involved in the making of this mockery of what was once an equity market. Computer malfunctions shook American equity trading for the second time this week, freezing thousands of stocks listed on the Nasdaq Stock Market for three hours and raising fresh concerns about the fragility of exchanges. The second-biggest American exchange operator, home to 3,200 companies from 37 countries, halted transactions in all of its securities shortly after noon, a decision that caused buying and selling to stop on its platform and dozens of others where the securities trade. Errors in the feed used to disseminate quotes and prices were to blame, Nasdaq said on its website. Many of the country’s most-traded shares, from Apple Inc. (AAPL) to Intel Corp. and Facebook Inc., ground to a virtual standstill as brokers were unable to execute customer orders. Nasdaq equity indexes didn’t update during the outage and volume in stocks listed on the rival New YorkStock Exchange also dwindled as liquidity dried up around the country. Shares covered by the halt began to change hands again at about 3:25 p.m. in New York. Nasdaq let stand transactions executed between 12:14 p.m. and 12:23 p.m. Open orders were not automatically canceled and customers were told they could cancel them voluntarily before trading resumed, the exchange company said on its website. President Barack Obama was briefed on the disruption this afternoon by his chief of staff,Denis McDonough, Josh Earnest, deputy White House press secretary, said in an e-mail to reporters traveling with the president in upstate New York. The Securities and Exchange Commission was also monitoring the situation. U.S. Treasury Secretary Jacob J. Lew saw no reason to believe the halt had “any of the more frightening aspects to it, but we’re going to have to learn all the facts.” He was questioned about the shutdown by a moderator today after a speech in Mountain View, California. The disruption, just two days after options markets were roiled by mistaken trades sent by Goldman Sachs Group Inc., is the latest in a series of computer malfunctions that have raised questions about the reliability of electronic markets. Nasdaq faced criticism last year when it mishandled the public debut of Facebook, causing losses for its member firms. Though the cause was unclear, the outage is more bad news for Robert Greifeld, the Nasdaq chief executive officer whose reputation suffered following the Facebook IPO. Company representatives didn’t respond to e-mails and phone calls asking what triggered the breakdown. “This is just another one of those headaches that are going on with this electronic stuff,”Frank Ingarra, head trader at Greenwich, Connecticut-based NorthCoast Asset Management LLC, said in a phone interview. The action froze stocks both on Nasdaq’s platforms and dozens of other markets around the country that trade securities it lists. Exchanges from Bats Global Markets Inc. in Lenexa,Kansas, to Jersey City, New Jersey-based Direct Edge Holdings published notices saying they were adopting Nasdaq’s halt. The disruption resulted in the second-fewest number of shares changing hands on U.S. exchanges in at least five years during a full-day session. About 4.4 billion shares tradedtoday, 30 percent below the three-month average. Volume was lower only on Oct. 8, 2012, excluding holiday trading, according to data Bloomberg began compiling in 2008. About 740 million exchange-listed shares changed hands during the three hours through 3:20 p.m. in New York following the suspension, or a third of the total transactions over the first three hours today, data compiled by Bloomberg show. Nasdaq’s own shares, which were covered by the halt, fell 3.4 percent to $30.46 at the 4 p.m. close in New York. They’re up 22 percent in 2013. The Nasdaq Composite Index (CCMP), which didn’t move during the outage, gained 1.1 percent to 3,638.71, while the Nasdaq 100 climbed 1 percent to 3,101.82. The Dow Jones Industrial Average (INDU), which includes Nasdaq-listed Microsoft Corp. and Cisco Systems Inc., was calculated throughout the day using the shares’ last price. It gained 0.4 percent to 14,963.74. Among Nasdaq stocks, Apple increased 0.1 percent to $502.96 and Intel added 0.4 percent to $22.26. Trading failures are multiplying as global financial markets get more complex. U.S. equity trading, which began on Wall Street more than two centuries ago and was dominated by the New York Stock Exchange for most of that period, has become dispersed among more than 50 computerized platforms accessible around the world. Individual investors have showed signs of embracing equities this year. Almost $95 billion was poured into exchange-traded funds that own American shares this year, while a measure of historical price swings indicates the U.S. market is the calmest in more than six years compared with shares from China, Brazil, India and Russia. Signs of strain appeared earlier when NYSE’s Arca canceled orders for Nasdaq shares and other exchanges routed trades away from the electronic platform through a procedure known as self-help. Just before 12:30 p.m., shares of Yahoo! Inc. briefly plunged more than a dollar over about a dozen trades. Intel surged 20 cents or more in a handful of transactions. Today’s outage was worse than an approximately 40-minute shutdown in 1994 that was triggered when a squirrel chewed through a power line in Shelton, Conn., disrupting electricity near a Nasdaq computer facility in Trumbull. That same year, a communications-software error shut the exchange for two-and-a-half hours. Another squirrel was to blame for a 1987 outage that last 82 minutes, according to a New York Times report at the time. Options markets were bombarded with erroneous orders two days ago when an internal computer at Goldman Sachs malfunctioned. Options officials at Nasdaq as well as NYSE Amex and CBOE Holdings spent almost a day reviewing orders for cancellation. Investors in China were whipsawed by a computer malfunction last week. State-controlled brokerage Everbright Securities Co. reported a trading loss of 194 million yuan ($32 million) and apologized to investors after errors in order-execution systems on Aug. 16 sparked the biggest intraday swing in China’s benchmark index since 2009. The incident touched off a 53 percent surge in volume in the Shanghai Composite Index, which jumped from a loss of as much as 1 percent to a gain of 5.6 percent in two minutes. Xu Haoming resigned as president of the firm four days after regulators announced a probe. In May, Nasdaq agreed to pay $10 million to settle SEC charges related to the initial public offering of Facebook. Regulators cited it for its “poor systems and decision-making” during the IPO in May 2012 that was delayed when software that collects orders fell into a loop. Nasdaq agreed to the settlement without admitting or denying the SEC’s findings. Legislation that created the SEC in 1934 also deemed the main venues self-regulatory organizations, or SROs, overseeing their member firms and trading. Critics said the Facebook mishap shows how changes in the structure of markets have made old regulations obsolete and that firms such as Nasdaq should be regulated like any other for-profit company. Exchanges have close to absolute legal protection for actions taken as part of their regulatory duties. The doctrine arose when exchanges were not-for-profit organizations owned by their member firms. The shield protects them from lawsuits related to the exercise of powers delegated by the SEC and prevents financial losses that could jeopardize institutions seen as vital to the U.S. economy.